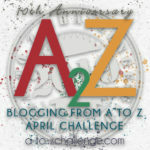 This is the 7th post in the February Photo Collage Festival and the Family History Writing Challenge. Today I am going to write about Theresa Pearl Reed Averette Shaffer, Hugh and Blanche Celeste’s 3rd child and 2nd daughter. Theresa Pearl was born in 1913 in Indianapolis Indiana. Her middle name, Pearl, was for my grandmother, Pearl Reed Cleage. That is probably why there are more photographs of her in the family photo collection than of any of the other children. Theresa spent her early years in Indianapolis, Indiana. 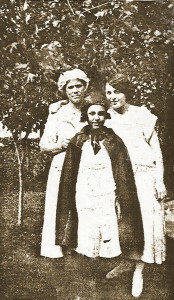 Theresa in a cape with Aunt Lou Shoemaker and sister Anna. Probably taken in Benton Harbor, Michigan. In 1930 Theresa was a 17 year old student living with her family in Los Angeles California. She was identified by her nickname “Tut”. About 1932 Theresa married Bennett Shaffer. Both of them had finished 2 years of college. Their daughter, Betty Jeanne, was born in 1934. Their son, Bennett Shaffer Junior, was born in 1935. The family lived in Los Angeles. By 1940 Thresa and family were living in Glendale, California at the Glen Haven Sanitarium. Although the census page says the name was Glen Haven Sanitarium, all of the investigating I have done turns up the Glendale Sanitarium in Glendale, California. Theresa and her husband, Bennett, were both 27 years old. Bennett worked as distribution manager of a daily newspaper. Six year old Jeanne was attending school. Bennett was only four and too young for school. Theresa Pearl Averrett Shaffer died in 1941 at age 28. She is buried Forest Lawn Memorial Park Cemetery in Glendale, California. Bennett died the following year. Kristin, this is an interesting post (as are all of yours) but I noticed the photo said “probably taken in Benton Harbor, MI”. Here your Mom and my Dad both attended Eastern High School in Detroit and I was born in Benton Harbor, MI. I now live in the neighboring twin city, St. Joseph, and was wondering what was the period of time your family members were living in Benton Harbor OR were they just coming here for visits. Very interesting the connections we have! That is interesting! The Benton Harbor connection is on the other side of my family. My father’s mother had three sisters who lived in Benton Harbor. They still have some descendents living there. 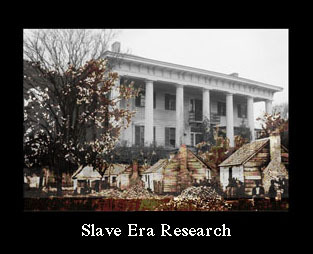 Two of the sisters moved there around 1890. The older sister married a man who had roots there in Berrien County. A third sister joined them a bit after 1910. 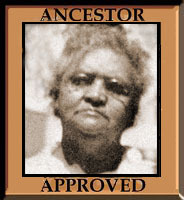 My direct family just visited them after living several years in Kalamazoo and moving to Detroit by 1915 where they remained. Have you thought about doing a piece on just the name Pearl or Marion and how they are all realted? I hadn’t thought of that but there is also the name of Hugh which goes through the generations and several families. I will have to check the other branches of the family to trace them there. I know they are still around in this branch. My only sorrow is nobody has taken “Kristin” and kept it going. I just looked, who else has the name Marion besides those in Hugh’s line? And the counties, of course. When you do Marion don’t forget to throw in Marion, KY and Marion, IN. Gotta love it. There is the original Hugh Marion Reed Averette and all his descendents who are named Hugh. In my branch we have my uncle Clarence Hugh Cleage ( called Hugh), my cousin Blair Hugh Evans, my cousin’s son Hugh Martin. Pearl’s we have My grandmother Pearl Reed Cleage, her daughter Barbara Pearl, my sister Pearl Michelle, my cousin Anna Pearl, my daughter Ayanna Pearl, Pearl’s grandaughter Chloe Pearl. Hugh’s daughter Theresa Pearl and Minnie’s son Pearl Losin. Are there more? And don’t forget Marion, Oregon. I am Betty Jeanne’s daughter Suzanne. Her mother was Theresa. Betty died in California two months ago. I have a lot of information on the deaths of Theresa and Bennett. They were tragic, and resulted in my mother and her brother Bennett, Jr. first going to an orphanage, and then being adopted by Bennett’s parents. Please contact me at the email address above. I would like to be in touch with you.